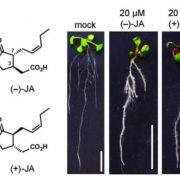 Auxin is an important plant hormone that is essential for plant growth and development. 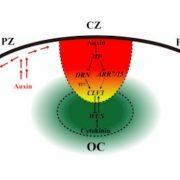 At present, people’s understanding of auxin signal transduction mainly focuses on the process of auxin receptor TIR1/AFBs- mediated Aux/IAAs protein degradation and regulation of auxin-related gene expression, but the understanding of post-transcriptional events is less. 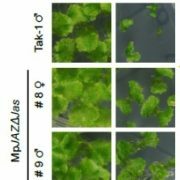 The research team of the Institute of Botany, Chinese Academy of Sciences, and the research team of the University of California, San Diego, Zhao Yunde, and the Institute of Genetics and Developmental Biology, Chinese Academy of Sciences, collaborated to study the mechanism of mRNA polyadenylation in auxin and plant development. 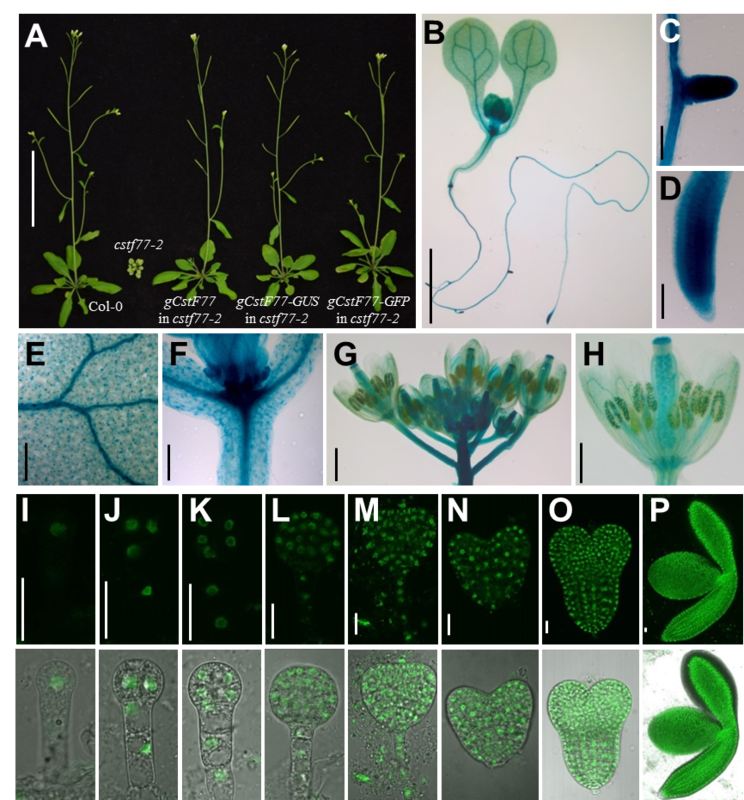 Using molecular genetics, cell biology, and genomics, the researchers isolated an auxin-insensitive Arabidopsis mutant atcstf77 , which was found to have serious growth and developmental defects. The cloning of the mutant gene indicated that the AtCstF77 gene encodes a scission activating factor that is an important member of the 3′- end polyadenylation complex of the mRNA precursor; the 3 ‘ end processing of the mRNA precursor is widely present in eukaryotes. 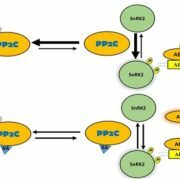 It is an important step in the post-transcriptional regulation of genes, including two processes of cleavage and polyadenylation, which are carried out by the combination of protein factors and cis-acting elements, in which the process of selective polyadenylation is regulated in genes and proteins. 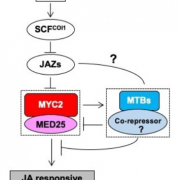 The researchers found that AtCstF77 controls the location of polyadenylation in many Arabidopsis genes, thereby regulating the expression levels of related genes, including some of the genes in auxin signaling. 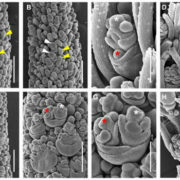 This result reveals the mechanism of action of mRNA polyadenylation in auxin and development. 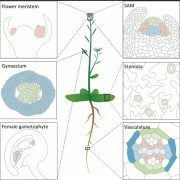 The research results were published online November 28 in the international academic journal Plant Physiology . 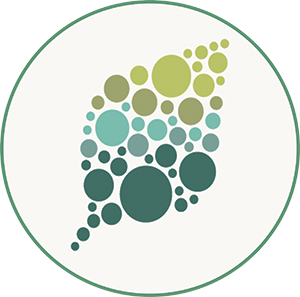 Dr. Zeng Wei, Ph.D. graduate student of the Institute of Plants, and Dai Xinhua, Institute of Genetics and Development, University of California, San Diego, are co-first authors of the paper, and Cheng Youfa and Cao Xiaofeng are co-authors. 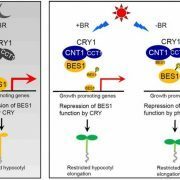 The research was supported by the National Natural Science Foundation, the Ministry of Science and Technology, the Chinese Academy of Sciences, and the US NIH program.